This debate has influenced a large number of people. In subsequent recordings Dr. Bahnsen remarked on various portions of this debate. Over time we’d like to supplement this post with asides that contain Dr. Bahnsen’s own comments on this debate. The section headings and various other organization elements have been added to make the material easier to read. Additionally, the audience Q&A has not been included as it was not part of the debate proper. Thank you David. I want to begin this evening with three opening and introductory remarks about the nature of the debate itself. The various conceptions of deity found in the world’s religions are, in most cases, logically incompatible leaving no unambiguous sense to general theism, whatever that might be. Secondly, I have not found the non-christian religions to be philosophically defensible each of them being internally incoherent or undermining human reason and experience. And thirdly, since I am by the grace of God a Christian, I cannot from the heart adequately defend those religious faiths with which I disagree. My commitment is to the triune God and Christian worldview based on God’s revelation in the Old and New Testament. And so first then I’m defending Christian theism. Secondly, I want to observe and we should indicate just what it is and is not at issue in the debate and on the basis of which we hope you’ll consider the debate. It must be made clear that we are debating about philosophical systems, not the people who adhere to or profess them. Our concern is with the objective merits of the case which can be made for atheism or Christian theism not related, subjective, or personal matters. And again I have three reasons or illustrations of this. The personalities of those individuals who adhere to different systems of thought are not really relevant to the truth or falsity of the claims made by those systems. Atheists and Christians can equally be found emotional, unlearned, intolerant or rude in their approaches. Secondly, subjective claims made about the experience of inner satisfaction or peace, claims that are made interestingly by both Christians and atheists in their literature, and promotional claims made about the superiority of Christianity or atheism—for instance, some atheist literature suggest that greater mental health comes through the independence of the atheist outlook—these sorts of claims are always subject to conflicting interpretations and explanations being I think more autobiographical rather than telling us anything for sure about the truth of the system under consideration. Thirdly, the issue is not whether atheists or professing Christians have ever done anything undesirable or morally unacceptable. One need only think respectively of the atheists’ involvement in the reign of terror in the French Revolution, and the professing Christian involvement in the Spanish Inquisition. The question is not whether adherents of these system have lived spotless lives but whether atheism or Christian theism as philosophical systems are objectively true. And so I’ll be defending Christian theism and I’ll be defending it as a philosophical system. My last introductory remark is simply to the effect that I want to concede to my opponent all issues pertaining to the control of ovarian maturation in Japanese quail. Okay, the subject of his doctoral dissertation in 1974 at Ohio State. Dr. Stein is a man of intelligence and that’s not in question in this debate. I would not pretend to hold my own in a discussion with him of the empirical details of his narrow domain of specialized natural science. However, our subject tonight is really much different. Calling for intelligent reflection upon issues which are philosophical or theological in character. For some reason Dr. Stein has, over the last decade, left his field of expertise and given his life to a campaign for atheism. Whatever his perception of the reason for that I do not believe that it is because any genuinely cogent philosophical case which might be made for atheism as a worldview. And it’s to this subject which I now turn for tonight’s debate. My opening case for the existence of God will cover three areas of thought. They are; the nature of evidence, the presuppositional conflict of worldviews, and finally the transcendental argument for God’s existence. End of quote. The assumption that all existences claims are questions about matters of fact… the assumption that these are all answered in the very same way is not merely oversimplified and misleading, it is simply mistaken. The existence, factuality, or reality of different kinds of things is not established or disconfirmed in the same way in every case. We might ask, “Is there a box of crackers in the pantry?” And we know how we would go about answering that question. But that is a far, far cry from the way we go about answering question or determining the reality of, say, barometric pressure, quasars, gravitational attraction, elasticity, radio activity, natural laws, names, grammar, numbers, the university itself that you’re now at, past events, categories, future contingencies, laws of thought, political obligations, individual identity over time, causation, memories, dreams, or even love or beauty. In such cases, one does not do anything like walking to the pantry and looking inside for the crackers. There are thousands of existence or factual questions and they are not at all answered in the same way in each case. Just think of the difference in argumentation and types of evidence used by biologists, grammarians, physicists, mathematicians, lawyers, logicians, mechanics, merchants, and artists. It should be obvious that the types of evidence which one looks for in existence of factual claims will be determined by the field of discussion and especially by the metaphysical nature of the entity mentioned in the claim under question. Dr. Stein’s remark that the existence of God is answered, the question of the existence of God in answered in the same way as any other factual question mistakenly reduces the theistic question to the same level as a box of crackers in the pantry which we will hereafter call the crackers in the pantry fallacy. Secondly, then I’d like to talk about the presuppositional conflict of worldviews. 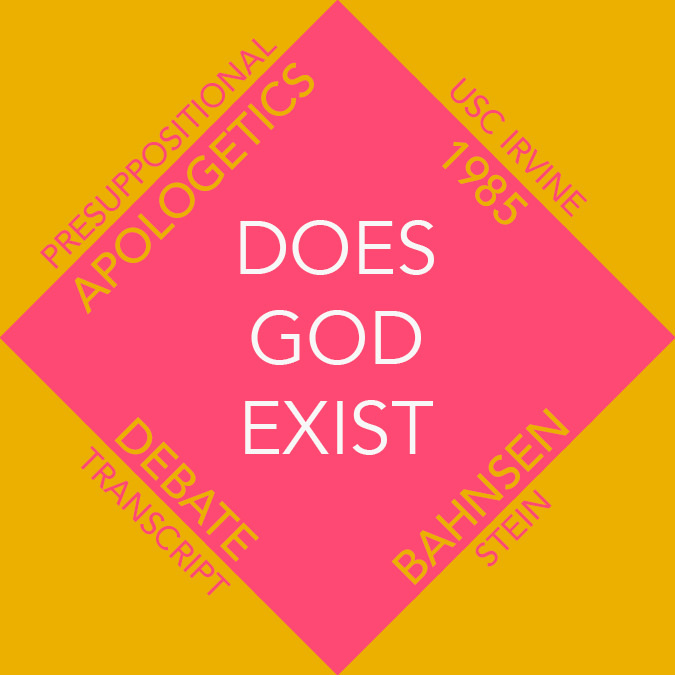 Dr. Stein has written about the nature of evidence in the theistic debate. And what he has said points to a second philosophical error of significant proportions. In passing we would note how unclear he is, by the way, in speaking of the evidence which must be used, describing in variously as logic, facts, or reason. Each of these terms is susceptible to a whole host of differing senses not only in philosophy but especially in ordinary usage depending on who’s using the terms. I take it he wishes to judge hypothesis in the common sense by test of logical coherence and empirical observation. The problem arises when Dr. Stein elsewhere insists that every claim that someone makes must be treated as a hypothesis which must be tested by such evidence before accepting it. There is to be nothing, he says, which smacks of begging the question or circular reasoning. This I think is oversimplified thinking and again misleading, what we might call the pretended neutrality fallacy. That’s the end of the quote. One must eventually ask Dr. Stein then how he proves this statement itself. That is, how does he prove that logic or reason is the only way to prove factual statements? He is now on the horns of a real epistemological dilemma. If he says that the statement is proven by logic or reason then he’s engaging in circular reasoning and he’s begging the question which he staunchly forbids. If he says that the statement is proven in some other fashion than he refutes the statement itself, that logic or reason is the only way to prove things. And my point is not to fault Dr. Steins’ commitment to logic or reason but to observe that it actually has the nature of a pre-commitment or a presupposition. It is not something he has proven by empirical experience or logic, but it is rather that by which he proceeds to prove everything else. He is not presuppositionally neutral in his approach to factual questions and disputes. He does not avoid begging crucial questions rather than proving them in what we might call the garden variety ordinary way. Now this tendency to beg crucial questions is openly exposed by Dr. Stein when the issue becomes the existence of God because he demands that the theist present him with evidence for the existence of God. Now theists like myself will gladly and readily do so. There is the evidence of the created order itself testifying to the wisdom, power, plan and glory of God. One should not miss the testimony of the solar system, the persuasion of the sea, the amazing intricacies of the human body. There’s the evidence of history, God’s deliverance of his people, the miracles at Passover night and the red sea, the visions of Isaiah, the shekinah glory in the temple, the virgin birth of Jesus, his mighty miracles, his resurrection from the dead. There’s the evidence of special revelation, the wonder of the Bible as God’s word, unsurpassed in its coherence over time and it’s historical accuracy and it’s life renewing power. In short, there is no shortage of empirical indicators or evidences of God’s existence from the thousands of stars in the heavens to the five-hundred witnesses of Christ’s resurrection. In advance, you see, Dr. Stein is committed to disallowing any theistic interpretation of nature, history or experience. What he seems to overlook is that this is just as much begging the question on his own part as it is on the part of the theists who appeal to such evidence. He has not at all proven by empirical observation and logic his pre-commitment to naturalism. He has assumed it in advance, accepting and rejecting all further factual claims in terms of that controlling and unproven assumption. Now the theists does the very same thing don’t get me wrong. When certain empirical evidence are put forth as allegedly disproving the existence of God the theist regiments his commitments in terms of his presuppositions as well. Just as the naturalist would insist that Christ could not have risen from the dead or that there is a natural explanation yet to be found of how he did rise from the dead, so the supernaturalist insists that the alleged discrepancies in the Bible have an explanation, some yet to be found perhaps, and that the evil of this world has a sufficient reason behind it known at least to God. They both have their governing presuppositions by which the facts of experience are interpreted even as all philosophical systems, all worldviews, do. At the most fundamental level of everyone’s think there are primary convictions about reality, man, the world, knowledge, truth, behavior, and such things. Convictions about which all other experience is organized, interpreted and applied. Dr. Stein has such presuppositions and so do I and so do all of you. And it is these presuppositions which determine what we accept by ordinary reasoning and evidence for they are assumed in all of our reasoning even about reasoning itself. And so I come thirdly then, to the transcendent proof of God’s existence. How then should the difference of opinion between the theists and the atheist be rationally resolved? That was my opening question. We’ve seen two of Dr. Stein’s errors regarding it: the crackers in the pantry fallacy and the pretended neutrality fallacy. In the process of discussing them we’ve observed that belief in the existence of God is not tested in any ordinary way like other factual claims. And the reason for that is metaphysically because of the non-natural character of God and epistemologically because of the presuppositional character of commitment for or against his existence. Arguments over conflicting presuppositions between vorldveiws therefore must be resolved somewhat differently and yet still rationally than conflicts over factual existence claims within a worldview or system of thought. When we go to look at the different worldviews that atheists and theists have, I suggest that we can prove the existence of God from the impossibility the contrary. The transcendental proof for God’s existence is that without him it is impossible to prove anything. The atheist worldview is irrational and cannot consistently provide the preconditions of intelligible experience, science, logic, or morality. The atheist worldview cannot allow for laws of logic, the uniformity of nature, the ability for the mind to understand the world, and moral absolutes. And in that sense the atheist worldview cannot account for our debate tonight. Can everybody hear me? I assume so. Well I will grant Dr. Bahnsen his expertise on the conditional resolution on the apparent paradox of self-deception which was his dissertation. I don’t know how much more relevant that is to our discussion tonight than mine is probably not anymore. But, I would like to also thank Dr. Bahnsen for showing us that he really doesn’t understand too much about atheism. I will try to straighten him out. This is an important question we’re discussing. Perhaps it’s the most important question in the whole field of religion. Because if god does not exist then the Bible can’t be the word of god, Jesus can’t be the Messiah, and Christianity cannot be true as well as other realigns. So we’re dealing with an important issue here. Now, Dr. Bahnsen repeated for me that the existence of god is a factual question. I don’t think he would dispute that. I think he misinterpreted what I said when I said that we solve factual questions in the same way. I didn’t mean exactly the same way I mean with the use of reason, logic, and evidence. And that is what I am holding. Now, first let me make clear what atheism is and is not. I think this is a very commonly misunderstood subject. Atheists do not say that there, that they can prove that there’s no god. They also, an atheist is not someone who denies that there is a god. Rather an atheist says that he has examined the proofs that are offered by the theist and he finds them inadequate. Now, if I were to say that this gentleman in the… sitting on the front step could fly by flapping his arms I’d be making a kind of unusual statement. And it would be up to me, or him, to demonstrate that he could fly. If he can’t demonstrate it then we don’t say that he can fly. Now if he doesn’t demonstrate it right now that doesn’t mean he can’t fly. It just means he can’t fly right now. Now, so we do not deny that he could fly because he can’t demonstrate it right now but we say he has not proven his case and therefore we do not believe that he can fly until he does so, proves so. And this is what an atheist says about the existence of god. He says the case is unproven not disproven. So an atheists is really someone who is without a belief in god or who does not believe in a god. It is not someone who denies the existence of god or who says that one does not exist or can prove that one does not exist. Now before asking for proof of god’s existence we need a satisfactory definition. And I think I’ve given one which I will find at least satisfactory and if Dr. Bahnsen doesn’t agree we can hear from him. Now nothing can qualify as evidence for the existence of a god unless he have some idea of what we’re searching for. And that’s why we need the definition. Okay now, throughout history eleven major kinds of evidence or proof have been offered [unintelligible] for the existence of god. In my campus visits I have heard all kinds of other things offered as proofs but they basically fall into those eleven categories with some juggling. And if these eleven proofs do not work out logically, or lead to logical self-contradictions, then we can only say that god’s existence is not proved, it’s unproven, not disproven, as I mentioned before. Now if I assert that this gentleman can fly by flapping his arms as I said the burden of proof is on him. Supposing I make a more complicated statement. Supposing I say that my dog can talk in complete sentences. Okay well, again I’m making a kind of unusual statement and it’s up to me to offer the evidence. So I better be prepared to do that or I better be prepared to have people not believe what I say. And I’d like a demonstration either of this gentleman flying or of my dog talking, if I were the person who was being asked to make a conclusions, before I admitted that such things were possible or existed. Okay now how easy would it be to show that this gentleman cannot fly or that my dog cannot talk in complete sentences. As I mentioned before you get into a real problem when you try to show that something cannot happen or that something does not exist. For example, if I wanted to prove that unicorns do not exist I can examine this room and we can find out that there’re defiantly no unicorn in this room. A small area. But to prove the general nonexistence of something like unicorns you would have to search the entire universe simultaneously and then we could only say that no unicorns existed at the moment we searched the universe. But you know maybe they were there five minutes before or if we only searched the whole earth maybe they were on another planet at the time. I mean there are all kinds of other possibilities. So you cannot prove that something does not exist and that’s why, as I mentioned before, the definition of an atheist is not someone who thinks he has proven that god does not exist because you cannot. Okay, now of those eleven major proofs I want to go over some of them very quickly. They been nine-hundred years in the formulation and during this nine-hundred years this is basically what people have come up with. The first cause argument also called the cosmological argument, it says that everything must have a cause, therefore the universe had a cause and that cause is god. God was the first, or uncaused, cause. Okay well this leads us to a real logical bind for the theist because if everything must have had a cause than god must have had a cause. If god had a cause than he was not the first or uncaused cause. If god did not have a cause than not everything must have a cause. If not everything needs a cause than perhaps the universe is one of those things which doesn’t needs a cause. So you see that we’ve gotten into a logical bind there. And that proof basically fails. Now I’m giving you a real short synopsis of each of these proofs. They could fill an entire book and have. So you have to understand I’m oversimplifying slightly but I think I’m retaining the logic of it while controlling time. The second one is the design argument. It’s also called the teleological argument. It says that the universe is wonderful and exhibits evidence of deign or order. Things which show such wonderful design must have had a designer who is even more wonderful and that designer was god. Well, if the universe is wonderfully designed surely god is even more wonderfully designed. He must, therefore, have had a designer even more wonderful than he is. If god did not require a designer than there’s no reason why such a relatively less wonderful thing as the universe needed one. Again we’re into a logical self-contradiction. The argument from life says life cannot originate from the random movement of atoms yet life exists. Therefore, the existence of a god was necessary to create life. Well basically life didn’t originate from the random movements of atoms and no scientist would say so. Because there are limits on the chemical composition and physics of atoms and they don’t move in any possible way chemicals do not combine in any possible way. That’s why when you see these one-billion to one kind of odds that people have said for life originating are all wet. They haven’t considered the possibility that not every reaction can occur. So it’s possible to explain the origins of life without a god using the principles of parsimony, or Occam’s razor, I think we are left with the simpler explanation as of the one without a god. I go into more detail on that later. 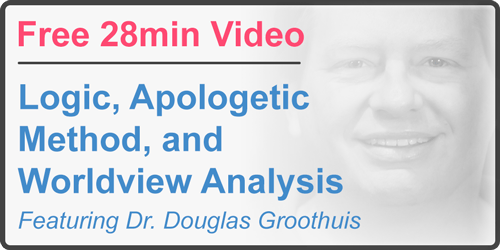 Then we have the argument from revealed theology which seems to be one of Dr. Bahnsen’s favorites. It says that the Bible says that god exists and the Bible is the inspired word of god, therefore what it says must be true, therefore god exists. Well this is obviously a circular argument. It begs the question. We’re trying to show whether god exists. Therefore calling the Bible the word of god is not permitted because it assumes the existence of the very things we’re trying to prove. Now if the Bible is not the word of god, in this case, then we cannot give any real weight to the fact that is mentions that god exists. It does not become a proof. In fact, to prove god from the Bible is standing things on its head. First you must prove god then you may say, examine whether god wrote the Bible or dictated it or inspired it. But you can’t really use the Bible as Dr. Bahnsen seems to want to do as evidence for the existence of god per se. Then we have the argument from miracles. It says that the existence of miracles requires the presence of a supernatural force; that is a god. Miracles do occur therefore there is a supernatural force or god. Again this is begging the question. It requires that you must believe in the existence of a god first, beforehand, and then you say that there are such things as miracles which are the acting of a god to create violations of his own laws. So it is not evidence per se. It can serve as supplementary once you have good evidence in another kind of a way for the existence of a god then you can use miracles as an additional argument. But in and of itself it doesn’t show the existence of a god because it assumes that which is to be proven. I think those are good odds. Then we come to the ontological argument one of the most difficult ones to explain to people, but basically it says god is by definition perfect. A necessary quality of any perfect object is that it exists. If it did not exist it would not be perfect. If perfection requires existence than god exists since god is perfect. Now I don’t know if you followed that but I think this has been pretty well ripped to shreds by philosophers and I think the problem lies with, the trouble is with the word exist. In order for something to be perfect it must first exist. If something did not exist you wouldn’t… the word perfect wouldn’t mean anything. So first you must have existence and then possibly you may have perfection. So this, again, is going backwards and we must have an existing god then we can decide whether he’s perfect if perfectness is a quality of a god then he may be perfect but he first must exist. Then we have the moral argument, all people have moral values. The existence of these values cannot be explained unless they were implanted in people by a god, therefore god exists. Well the answer to this is that there are simpler ways to explain the origin or moral values without requiring the existence of a god to implant them in people. Besides if moral values did come from a god then all people should have the same moral values, and they don’t. People’s moral values are the result of an accommodation which they have made with their particular environment and then taught to their children as a survival mechanism. Okay. Then we have the wish argument. Without the existence of a god people would have no reason to live or be good therefore there has to be a god. Most people believe in a god, therefore there is a god. This really isn’t a proof it’s just a wish. It’s like saying it would be nice to have a god, which it would, but you know that doesn’t have anything to do with whether there is one or not. Finally, oh I’m missing one here. We have the argument from faith. The existence of a god cannot be proven by the use of reason but only by the use of faith. The use of faith shows that there is a god therefore god exists. Reason or logic is a proven way of obtaining factual information about the universe. Faith has never been shown to produce true information about the universe because faith is believing something is so because you want it to be so without adequate evidence. Therefore it can’t be used to prove the existence of anything. In addition, the additional fact is that faith often gives you the opposite answers to what is given by reason to the same problem. This also shows that faith does not provide valid answers. Now the argument from religious experience. Many people have claimed to have had a personal experience or encounter with god therefore he must exist. This is a difficult one to handle because first of all I’ve never had such an experience but I’m sure people have absolutely honestly reported having had such experiences. But the feeling of having meet god must not be confused with the fact of having met him. This is a confusion, a semantic confusion, and also we cannot use our own feelings as if they were valid information about the world. They are feelings that we have inside of us, but you cannot demonstrate them to another person, they cannot be used as evidence. If everyone had that same experience, like, if we all looked around the room and we all agreed that there was a clock over there we might say that the vision of a clock was a consensual one that everyone agreed on. Other than that, if you saw a clock and nobody else did or only two or three people did then we would have a bit of a problem. Pascal’s wager is the last of eleven arguments. I hear this a lot on the campuses. It says since we don’t know wether a god exists or not we have no way of finding out in this life we have nothing to lose by believing in god. On the other hand you have a lot to lose if we do not believe in a god and therefore, there later turns out to be one. Well this is only true if number one you are right about a god and secondly if you have picked the right religion. Because you might wind up at the judgment day and be right about god but he says what religion were you and you say I was Islam, a believer in Islam, and he says sorry Catholicism is the right religion down you go. So, in addition we might also, if you have a god who punished people who live virtuous lives, let’s say an atheist who lives a virtuous life, does wonderful deeds in the world but just does not believe in a god, if the god punishes him than we have an irrational god who is just as likely to punish the believer as the unbeliever. Dr. Bahnsen: Dr. Stein do you have any sources that you can give to us very briefly that define atheism as one who finds the theists proofs inadequate rather than one who denies the existence of God? Dr. Stein: Yes sir. George Smith’s book which you will find for sale at the back of the room upstairs later called Atheism A Case Against God which I think is the finest book ever written on the subject makes this quite explicit I happen to have a copy right here I can quote you the exact words if you’d like to see them. Dr. Bahnsen: No. That won’t be necessary. Dr. Bahnsen: Do you have any other sources? Dr. Stein: Do I have any other sources? Dr. Bahnsen: What would they be? Dr. Bahnsen: That’ll be fine. Dr. Bahnsen: I didn’t ask you what I assumed I asked you if I used that argument. Dr. Stein: No you did not use the argument but you used the results of the argument. Dr. Bahnsen: Dr. Stein you mentioned eleven basic proofs for the existence of God did you mention the transcendental proof for the existence of God? Dr. Bahnsen: I don’t have time for rebuttal on that point. In other words you didn’t deal with that particular one. Dr. Bahnsen: Are all factual questions answered in the very same way? Dr. Stein: No they are not. They are answered by the use of certain methods, though, that are the same; reason, logic, and presenting evidence, and facts. Dr. Bahnsen: I heard you mention logical binds and logical self-contradictions in your speech. You did say that? Dr. Stein: I said it. I used that phrase yes. Dr. Bahnsen: Do you believe there are laws of logic then? Dr. Bahnsen: Are they universal? Dr. Bahnsen: Are they simply conventions then? Dr. Stein: They are conventions but they are conventions that are self-verifying. Dr. Bahnsen: Are they sociological laws or laws of thought? Dr. Stein: They are laws of thought which are interpreted by men. And promulgated by men. Dr. Bahnsen: Are they material in nature? Dr. Stein: How could a law be material? Dr. Bahnsen: That’s the question that I’m going to ask you. Dr. Stein: I would say no. Dr. Stein: Dr. Bahnsen would you call good material or immaterial? Dr. Stein: What is something that’s immaterial? Dr. Bahnsen: Something not extended in space. Dr. Stein: Can you give me an example of anything other than god that’s immaterial? Dr. Bahnsen: Laws of logic. Dr. Stein: Are you putting god in the same, as an equivalent thing to the laws of logic? Dr. Bahnsen: No. Only if you think all factual questions are answered in the very same way would you even assume that by thinking there are two immaterial things they must be identical. Dr. Stein: No, I’m not assuming that. I’m just assuming that because the laws of logic are a convention among men are you saying that god is a convention among men? Dr. Bahnsen: I don’t accept the fact that laws, that claim the laws of logic are conventional. Dr. Stein: Is your god omnipotent, omniscient, and omnibenevolent? Dr. Stein: You don’t find this a contradiction at all? Dr. Bahnsen: I do not. Dr. Stein: Okay well we’ll show you a little later that it is. Dr. Stein: If your arguments in favor of the existence of god are shown to be incorrect will you relinquish you’re belief in god? Dr. Bahnsen: If my arguments are disproven? Dr. Bahnsen: Will I relinquish my belief in god? If there are no arguments for the existence of God I wouldn’t believe in God. Dr. Bahnsen: You’re the one who said that it’s impossible to show a universal negative. No one can show that there are no arguments for the existence of God so we can only deal with those that I know of. Dr. Stein: Okay. If someone showed that al the ones that you’ve produced were invalid what would be your position. Dr. Bahnsen: Well, you’d have to describe further the conditions. Rationally speaking, if there is no basis for belief in the existence of God I would relinquish that belief. Dr. Stein: Is god good? Dr. Bahnsen: Yes he is. Dr. Stein: How do you know that? Dr. Bahnsen: He saved me. He created me. He made the world and he made it good. He sent his son into the world to die for my sins. Many of these evidences are quite convincing to me but I don’t use them outside of a worldview in which they make sense in which they would be taken as true. If you mean is God good in such a way or can I give you evidence that you would accept that would depend on what your presuppositions are. Dr. Stein: No, no. I’m asking if god says something, anything, is it right because it, because anything god does is good because god is good? Or does it become good just because god said it? I don’t know if I said that right. I guess did. Dr. Bahnsen: No, I understand the problem though it’s roughly stated. What God says to be good is good because it reflect his own character. God is good and is the standard of goodness. That’s one of the presuppositions of the Christian worldview. Dr. Stein: But isn’t it indeed a presupposition which is presupposed before there is any actual data from god? Dr. Bahnsen: Is this a questions about my first opening statement? Dr. Stein: In a sense it is because although it isn’t directly mentioned in your opening statement it has to do with the whole idea of wether there are absolutes outside of god which is an important issue in this whole debate and it may come up later. Dr. Bahnsen: I still think we’re straining at the limits of debate rules here but I will answer your question. There are no absolute outside of God. Dr. Stein: So, in other words, the fact that god is good is something that god told you and that’s why you accept it rather than knowing it ahead and assuming it as a presupposition which you said a minute ago. Dr. Bahnsen: No. That’s extremely simplistic. God told it to me and he’s provided evidence of it. Dr. Stein: You also said it was a presupposition. Dr. Stein: Is that not a contradiction? Dr. Bahnsen: Oh not at all. There are many things which are presupposed as well as evidenced in this word. For instance the laws of logic. Dr. Stein: I would disagree with that but… ummm, well I still have some time alright. Dr. Stein: When we talk about immaterial things are you also saying there’s such a thing as ghosts or the soul which are another example of immaterial things? Would you call them immaterial? Dr. Bahnsen: …that man is a living soul and has an immaterial aspect to his being, yes. Dr. Stein: And how would you prove this? Dr. Bahnsen: This has to do with the existence of god now? Dr. Stein: Well it has to do with the existence of immaterial things. Dr. Bahnsen: Well if there’s an immaterial being, God, and if the Bible is his word than I would say that his revealing the nature of man in the Bible is sufficient proof. And that takes us back logically as you’ll be bound to say to wether God himself exists and that’s what we’re supposed to be debating. Dr. Bahnsen: No, I’m telling you what the debate is about. Dr. Stein: I know what the debate is about. Dr. Bahnsen: I’m not debating the nature of the soul tonight but the existence of God. Yes, I believe that man has a soul. Dr. Stein: Okay. The only reason I asked about the soul is because this is a simpler immaterial object that most people would hold is also immaterial. Dr. Bahnsen: Oh I didn’t say that the soul is similar. That’s your claim. Dr. Stein: Simpler I said, not similar. Thank you. Dr. Stein is not into this debate yet tonight. We are debating the nature of, I mean the existence of God. I specified that I would be speaking, in order to avoid logical contradiction of one particular view of God, the Christian view of God, which I personally hold. Dr. Stein says that he will not restrict himself to the Christian conception of God. Well that’s fine he may not but all the time he uses on anything that’s not the Christian conception of God will be irrelevant. In fact, I will join him in refuting those other conceptions of God. The existence of God that I’m arguing tonight is the Christian one. Secondly, when Dr. Stein defines an atheist as one who finds the theistic proof inadequate, that is unproven but not disproven, he is engaging in linguistic revision. He does quote for us, of course, two ath… or he said that he could and I trust that he can, two atheists who likewise define atheism that way. But you see that strikes me as similar to a Christian who defines his position as being true at the outset and therefore it must be true cause it’s true by definition. He has minimized the task that is before him by simply saying, “I’m here to show that the theistic proofs are inadequate.” Well you see even at that though he didn’t do his job even though that is less than what he really should be doing. Because he gave us eleven basic proofs for God attributing one to me that I didn’t use, and do not use, and did not assume. He mentioned eleven basic proofs but did not deal with the one that I gave in my opening presentation and so he has not dealt yet with the argument that is before us this evening. Dr. Stein has mentioned logical binds and logical self-contradictions, he says that he holds that the laws of logic are universal but however they are conventional in nature. That is not at all acceptable philosophically. If laws of logic are conventional in nature then you might have different societies that use different laws of logic. It might be appropriate in some society to say both my car is in the parking lot and it’s not the case that my car is in the parking lot. That is, certain societies could have a convention that says, go ahead and contradict yourself. Of course there are, in a sense, subgroups within our own society that might think that way. Thieves have a tendency to say this is not my wallet but it’s not the case that it’s not my wallet. They might engage in contradictions like that but I don’t think any of us would want to accept that. The laws of logic are not conventional, are not sociological. I would say the laws of logic have a transcendental necessity about them. They are universal, they are invariant and they are not material in nature. And if they are not that than I’d like to know in an atheist universe how it’s possible to have laws in the first place. And secondly, how it’s possible to justify those laws. The laws of logic you see are abstract. As abstract entities, which is the appropriate philosophical term not spiritual entities as Dr. Stein is speaking of, as abstract entities, that is to say, none individual or universal in character, they are not materialistic. As universal they are not experienced to be true. There may be experiences whereby the laws of logic are used but no one has universal experience. No one has tried every possible instance of the law of logic. As invariant the don’t fit into what most materialists would tell us about the constantly hanging nature of the world. And so you see we have a real problem on our hands. Dr. Stein wants to use the laws of logic tonight. I maintain in so doing he is borrowing my world view. For you see, within the theistic world the laws of logic make sense. For within the theistic worldview there can be abstract, universal, invariant entities such as the laws of logic. Within the theistic worldview you cannot contradict yourself because in so doing you engage in the nature of lying and that’s contrary to the character of God as we perceive it. So the laws of logic are something that Dr. Stein is going to have to explain as an atheist or else relinquish using them. The transcendental argument for the existence of God then which Dr. Stein has yet to touch, and which I don’t believe he can surmount, is that without the existence of God it’s impossible to prove anything. And that’s because in the atheistic world you cannot justify and you cannot account for laws in general, laws of thought in particular, laws of nature, cannot account for the human mind, and the fact that it’s more than electrochemical complexes and events, and you cannot give us moral absolutes. That is to say, in the atheist conception of the world there’s really no reason to debate because in the end as Dr. Stein has said all these laws are conventional, all these laws are not really law like in their nature they’re just, well if you’re an atheist and a materialist you’d have to say they’re just something that happens inside the brain. But you see what happens inside your brain is not the same as what happens inside my brain. And so what happens inside your rain is not a law. It doesn’t necessarily correspond to what happens in mine. In fact, it can’t be identical with what is inside my mind or brain because we don’t have the same brain. If the laws of logic come down to being materialistic entities then they no longer have their law like character. If they are only social conventions then of course what we might do tonight to win the debate is just define a new set of laws and we’ll say all those who want the convention that says atheism must be true or theism must be true and we have the following laws which we conventionally adopt to prove it, you see we’ll be satisfied. But no one is satisfied, that’s not a rational procedure to follow. The laws of logic cannot be avoided. The laws of logic cannot be accounted for in a materialistic universe. Therefore, the laws of logic are one of many evidences that without God you can’t prove anything at all. Okay, I’ll now touch on transcendental evidence for the existence for god which is I think the only time I could really do such is in my rebuttal. But first I’d like to do one more important things. Rather than asking what is the cause of the universe we must first ask does the universe require a causal explanation? Rather than asking what is responsible for design in nature we must ask does nature exhibit design? God is given as a solution to a metaphysical problem but no consideration is given to whether such a problem exists in the first place. But god is not an explanation for anything. For example, if you say, if I ask you, how did the universe come and you say “God created it.” That doesn’t answer the question. The questions is how did god create it. And I defy any theist to explain how god created it. Basically what you’re saying is that an unknowable being is responsible for a given phenomenon which he caused through unknowable means. And that’s not an explanation but rather a concession that the phenomenon is totally inexplicable. Now about the laws of science. An atheist world, first of all, I don’t think that Dr. Bahnsen understands what a scientific law is. A scientific law is an observation that’s made over and over and over again. The law of gravitation, we drop objects all over the world in different situations and we always observe that they fall to the earth. So eventually we make a statistical statement that objects are likely, almost 100% likely to fall to the earth if they’re not accelerating in the opposite direction. Okay, in other words a rocket does not fall to earth immediately but eventually will if it doesn’t escape the gravity of the earth. So these scientific laws are merrily consensus’s based on thousands and hundreds of thousand of observations. The laws of logic are also consensus’s based on observations. The fact that they can predict something correctly shows us that we’re on the right track, that we’re corresponding to reality in some way. If I can plug in a formula and show exactly where a cannon ball is going to land and predict exactly where it will strike then my mathematics is reflecting something valid about the behavior of cannon balls that are fired on this earth. Otherwise I wouldn’t have picked the exact spot. Mathematics is basically logic, again, used in the same way by consensus of tested things that are self-verifying. I’m not explaining it as well as I could but that’s basically what I’m saying. An atheist universe then goes on the basis of the fact that matter has certain intrinsic behavior patterns. Electrons repel each other because they’re both negatively charged. Protons repel each other. And electron and a proton attract each other. The opposites poles of a magnet do that. It’s an inherit property of matter. That is what produces the regularity in the universe. If there was no regularity that there would be no science possible because you couldn’t predict anything, matter wouldn’t behave the same the second time as it did the first time, or the third or the fourth. So that the lack of having a god is in no way detrimental to logic and to having laws in an atheist universe. In fact, if we had a god we could very easily have an irrational god who did things capriciously so that if I threw a ball one time I thew it it would go up and the next time down and you know crashed straight down or soar right up. That would be just as much evidence for god as a regularly behaving ball or object dropped. We could have a god who makes the rules and changes things from time to time. Or you could have one that makes things the same or we could have a universe that just behaves that way normally. Now, to ask what caused the universe although we didn’t get into this exact thing, I’m trying to show you that it’s to ask an absurd question in the first place to give god as the answer, first of all, I mentioned it doesn’t explain anything. But secondly, before something can act as a cause it must first exist. That is, it must be a part of the universe. And the universe sets the foundation for a causal explanation but it can’t not itself require a causal explanation. I don’t know if that’s clear. If I say, every human being had a mother, that’s a valid question. But if I ask, who is the mother of the human race, that is a non-valid question because the human race didn’t have a mother. I can ask what was the cause of this planet exploding but to ask what was the cause of the universe is to ask an invalid question. And to offer the answer as god is to offer an invalid answer to an invalid question. We haven’t gotten into morality. I think I’m going to leave that for the second half. If Dr. Bahnsen doesn’t raise it I will. He makes an awful lot of statements that are basically feelings; he felt god entered his life, he felt that this happened, he felt that Jesus was resurrected. 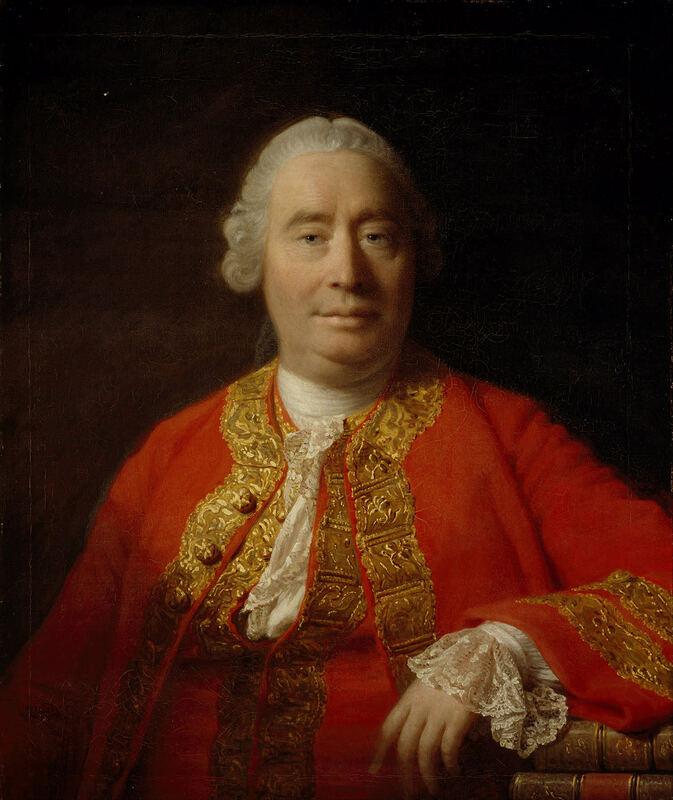 If he were held to the historians’ standard especially the standard required when a miracle is done, as David Hume said, when a miraculous or very unlikely event such as the resurrection–although Hume didn’t use that exact analogy, that exact example–occurs we must demand an extraordinary amount of proof. If I say the sun is going to rise tomorrow we don’t need too much proof because the sun it’s been rising every day. If I say the sun is not going to rise tomorrow then we need an extraordinary amount of evidence before someone will take that seriously because that’s an unusual event. Okay. Now he has not held up the historians’ standard to a lot of the things he’s accepting from the Bible as evidence for god. And I think that if he did so he would soon see that those evidences dried up. Now to get to transcendental evidence, finally. The statement that if god did not exist you couldn’t prove anything, and that logic and scientific laws would be invalid is absolute nonsense and I think I’ve demonstrated part of that. He says that laws of logic are the same everywhere. This is not true although they are mostly the same. And I wonder if he’s ever heard of a zen koan. And the answer to a zen koan is something which like you know, “What is the sound of one hand clapping?” is the most famous zen koan. The answer to that kind of question is in a different type of logic in a sense, or it’s extra logical, if you want to call it that. But I do think that most logical is accepted in the western world and most of the eastern world on the basis of agreement on people that reflect something about the universe. The idea that transcendental evidence exists for god is that the impossibility of the opposite, that the worldview would not be rational if it were atheistic is total nonsense and I’ve demonstrated to you that it depends on the inherit properties of mater. If mater has the properties where it behaves regularly then we have order in the universe, we have a logical rational universe without a god. The god issue is not germane if mater behaves in a regular way. And I would hold that the properties of mater as demonstrated over and over again are regular. I mean it’s an inherit property of mater. So I think that the transcendental evidence statement can be dismissed as mere wishful thinking coupled with misinformation about what scientific laws are and what atheists would hold. In fact, most scientists, in fact science itself is atheistic. Science is not aloud to use a supernatural explanation for anything. There’s a very good reason for that. if your experiment came out one way you could say god did it. If it came out the opposite way you could say god did that. You would never make any progress in explaining anything in science an so the agreed upon consensus or rules in science is that naturalistic explanations only are asked for and allowed. He will if he can find his notes. Now it would be logically wrong to say that if all of the proofs fail for the existence of god that one is justified in saying that there isn’t a god. That is a logical fallacy argumentum ad ignorantiam or something like that to say that you accept something just because all of the evidence to the contrary fails. However, we have two other factors here we must consider. One of them is the fact that nine-hundred years have passed since Anselm first postulated the ontological proof and Thomas Aquinas in 1200 or so, so we have a long period time in which all of these proofs are being professed, fail. That’s some evidence about probability of there being a proof that someone will come up with that will succeed being pretty unlikely. In addition, we have a number of things which I wouldn’t call proofs but I would call evidence which make the existence of god even more improbable. And one of them is the problem of evil. If an all good god exists why is there evil in the world? We are told with god that all things are possible. If it was possible, it all things are possible it would be possible for him to create a world in which the vast mass of suffering that is moral and pointless such as the pain and misery of animals, the cancer and blindness of little children, the humiliations of senility and insanity were avoided. These are apparently inflictions of the creator himself. Or else you have a god that isn’t omnipotent. If you admit that than you deny his goodness. If you say that he would have done otherwise you deny with him things that are possible, all things that are possible. So the atheist can present several arguments which sort of increase the probability that there isn’t a god. They’re not proofs as I said. One of them would be the problem of evil. The idea is that the presence of evil is incompatible with an all good, all knowing, and all powerful god as Dr. Bahnsen suggested he believes in. Now he could come up with the statement that injustice in this world may well be corrected in the next world but that would be something that he would be making without any evidence whatsoever. Just, again, wishful thinking. He could also say that, get out of this bind by saying that God is not all powerful that some things, some evil things are done without his permission, so to speak. In which case his statement that he believes in an omnipotent god is falsified. He could also say that, the old argument about free will which is basically a morass into which he may fall if he wishes, will not do. To say that god gave man free will and therefore he can chose between the evil and good is to imply that god was unable to make a man who could examine both sides and always chose good. That, in other words, he is limited and the only way he can do it is to let man completely chose for himself as if that would take something away from man is he could examine both sides and still have the guidance within himself to always chose the good. Now there’s no obvious physical evidence of a god. If god wanted man to believe in him, man or women, people, he could, all he would have to do is put in an appearance before a group of people, especially a group of atheists. In fact, we invite him to our meetings to put in an appearance. In that way anyone would believe in him except a fool. Well the Christian says that this may sound logical to you but it doesn’t to god. God evidently wants man to believe on faith, without adequate evidence. Well if he did… if he does why does he give man the power of reason? And why did he give man more reason than any other animal has? If all living things on he earth were created by god, who is a loving god, who made man in his own image, how do you explain the fact that he must have created the tapeworm, the malaria parasite, tetanus germs, polio, ticks, mosquitos, cockroaches, and fleas. Now surely the dog is not suffering from original sin and needs to be infected with fleas so that he can get to doggy heaven which would be better than his present life. The standard answer of theists to this kind of question is that things have to be better after death. We have these things on earth, it’s a veil of tears, so to speak. It doesn’t make much sense. I mean, any god that would punish a man for what his ancestors did is not a very moral god. I’m talking about original sin now, Adam and Eve in the garden of Eden. There are many instance on the earth in which no distinctions seems to be made between the innocent and the guilty; between the Christian and nonbeliever. For example, in natural disasters like an earthquake or a fire. It kills Christians, it kills babies, it kills animals, it kills non-christians, you surely can’t say that these people being punished in some way for something that they did. It also demolishes churches and hospitals without distinction. Isn’t this evidence that at the very least that whatever force there is controlling these things doesn’t care if people are Christians or not? Or whether they’re innocent or not? If there’s only one god and he cares at all how he’s worshiped why are there so many different conceptions of god and so many different religions, all claiming to be the one true religion. Does this mean that they’re all mistaken? Does it mean that one is correct and all the others are mistaken? There’s an old joke about an atheist in which he said to a believer, you know, you believe that ninety-nine of the hundred gods are false. I just go one step further and say that the hundredth one is also false. So I’m sure that Dr. Bahnsen, in fact he even agreed that he would help me refute any other gods but the Christian god. If Christianity is the one true religion why are so many people who sincerely believe in it found in prisons, slums, and in organized crime? I’m not saying that all people there are Christians. I’m not saying that all people in organized crime are Christians either. But it evidently, if Christianity lead to an elevation of moral standards—which we haven’t gotten into yet, about morality, but I’m gonna jump the gun here a little bit—Christians would be expected to be highly moral, not less moral. In fact studies of the religious beliefs of prisoners have shown that almost all were devote Christians. The number of atheists is less than 1%. And these statistics were, in fact, so disturbing to the people who conducted them that they stopped collecting them recently. Can’t argue with the facts though. Any system which seems to fail in its application as frequently as Christianity does is not a very good or practical system for mankind to follow. I don’t want to get into a real discussion of Christianity except that Dr. Bahnsen insists that the Christian god and Jesus and the other evidences that come from the Christian god in concomitance with them are true and the others are not. What are we left with after this exercise? Well we can see that we can’t prove the existence of god by any rational or logical process. And Dr. Bahnsen has not offered us any. We have a factual issue here. Again, as I said, because the proofs fail it doesn’t mean that the existence is disproved. But I think it certainly is unproved. We can, as I will say in my closing statement, this does not leave us in a bleak and horrible world. There are many, many things that the atheist does with his life which make this world a nice place and enables him to get to the solving of the problems of this world instead of hoping for pie-in-the-sky which does not seem to be very probable. You’ve heard Dr. Stein refer to the transcendental argument and try to dismiss it simply as wishful thinking. If our debate is going to degenerate to that level than I dismiss everything that he has said as well as wishful thinking and delusion and why don’t we all go home. No, we’re here to argue. We’re here to argue a point and I’m going to see, say just what the argument has been supposed and see if Dr. Stein has any better answer than to just engage in name calling. Dr. Stein proposes an atheist worldview I propose a Christian theistic worldview. There are other proposals out there that may want there evening to debate as well. I’m maintaining that the proof of the Christian worldview is that the denial of it leads to irrationality. That is, without the Christian God you cannot prove anything. As one illustration of that, although I want to get into more than that in this second speech, I have referred to the laws of logic. An atheist universe cannot account for the laws of logic. Dr. Stein interestingly in responding to that spoke more about scientific law than he did about the laws of logic and I’m going to come back to that in my rebuttal to ask about his understanding of scientific law, however we still hear him saying that laws of logic are a matter of consensus and our just this way. That is to say I don’t have to prove that the laws of logic exist or that they are justified it’s just this way. Now friends how would you like it if I conducted the debate in that fashion this evening? God exists because it’s just that way. You just can’t avoid it. you see that’s not debate, that’s not argument, and it’s not rational, and therefore we have interestingly an illustration in our very debate tonight that atheists cannot sustain a rational approach to this question. What are the laws of logic Dr. Stein? And how are the justified? We still have to answer that question from a materialist standpoint. From a Christian standpoint we have an answer, obviously, they reflect the thinking of God. They are, if you will, a reflection of the way God thinks and expects us to think. But if you don’t take that approach and want to justify the laws of logic in some a priori fashion, that is apart from experience—sometimes that suggests that these things are self verifying—then we can ask why the laws of logic are universal, unchanging, and invariant truths. Why they, in fact, apply repeatedly in the realm of contingent experience. Dr. Stein told you well we use the laws of logic because we can make accurate predictions using them. Well as a matter of fact that doesn’t come anywhere close to discussing the vast majority of the laws of logic. That isn’t the way they are proven. It’s very difficult to conduct experiments on the laws of logic of that sort. They are more conceptual in nature rather than empirical or predicting certain outcomes in empirical experience. But even if you want to try to justify all of it in that way we have to ask why is it that they apply repeatedly in a contingent realm of experience? Why in a world that is random, not subject to personal order as I believe Christian God. Why is it that the laws of logic continue to have that success generating feature about them? Why should they be assumed to have anything to do with the realm of history? Why should reasoning about history or science or empirical experience have these laws of thought imposed upon it? Once again we have to come back to this really unacceptable idea that they’re conventional. If they are conventional than of course there ought to be just numerous approaches to scholarship everywhere, different approaches to history, to science, and so forth, because people just adopt different laws of logic. That just isn’t the way scholarship proceeds and if anybody thinks that is adequate they just need to go to the library and read a bit more. The laws of logic are not treated as conventions. To say that they are merely conventions is simply to say I haven’t got an answer. Now if you want to justify logical truths along a posteriori lines, that is, rather than arguing that they’re self-evident, rather arguing that there’s evidence for them that we can find in experience or by observation—that approach was used by the way by John Stuart Mill—people will say we gain confidence in the laws of logic through repeated experience and that experience is generalized. In some weaker moments I think Dr. Stein was trying to say that. Of course some of the suggested logical truths, it turns out, are so complex, they’re so unusual, that it’s difficult to believe anyone has perceived their instances in experience. But even if we restrict our attention the other, more simple, laws of logic it should be seen that if their truths cannot be decided independently of experience then they actually become contingent. That is, if people cannot justify laws of logic independent of experience than you can only say they apply as far as I know in the past experience that I’ve had. They are contingent, they lose their necessity, universality, and invariance. Why should a law of logic which is verified in one domain of experience, by the way, be taken as true for unexperienced domains as well? Why should we universalize or generalize about the laws of logic? Especially in a materialistic universe not subject to the control of a personal God. Now if it turns out that the a priori and a posteriori lines of justification for logical truths are unconvincing, as I’m suggesting briefly they both are, perhaps we could say they are linguistic conventions about certain symbols. Certain philosophers have suggested that. The laws of logic would not be taken as inexorably dictated but rather we impose them, we impose their necessity, on our language. They become, therefore, somewhat like rules of grammar. And as John Dewey pointed out so, you know so persuasively earlier in the century laws of grammar, you see, are just culturally relative. If the laws of logic are like grammar then the laws of logic are culturally relative, too. Why then are not contradictory systems deemed equally rationally? If the laws of logic can be made culturally relative than we can win the debate by stipulating a law of logic that says anybody who argues in this way has gotten tautology on his hands and therefore it’s true. Why are arbitrary conventions like the logic truths so useful if they’re only conventional? Why are they so useful in dealing with problems in the world of experience? You see we must ask whether the atheist has a rational basis for his claims. Atheists love to talk about laws of science, laws of logic, they speak as though there are certain moral absolutes from which Christians were just a few minutes ago being indicted because they didn’t live up to them. But who is the atheist who would tell us about laws? In a materialist universe there are no laws much less laws of morality that anybody has to live up to. When we consider that the lectures and essays that are written by logicians and others are not likely filled with uninterrupted series of tautologies we can examine those propositions which logicians are most concerned to convey. For instances, logicians will say things like a proposition has the opposite truth value from it’s negation. Now when we look at those kinds of propositions we have to ask the general question, what type of evidence do people have for that kind of teaching? Is it the same sort of evidence that’s utilized by the biologist, by the mathematician, the lawyer, the mechanic, by your beautician? What is it that justifies a law of logic? Or even belief that there is such a thing? What is a law of logic after all? There’s no agreement on that question. If we had universal agreement perhaps it would be silly to ask the question. It’s been suggested to you that it’s absurd to ask these sorts of things. Although the analogy that was used by Dr. Stein about the absurdity of asking about the cause of the world is not at all relevant because that isn’t what my argument is—by the way it’s not absurd to as that question, it may be unnecessary to ask it if you’re an atheist but it certainly not absurd to ask it—but it isn’t absurd to as the question that I’m asking about logic. You see logicians are having a great deal of difficulty deciding on the nature of their claims. Anybody who reads in the philosophy of logic must be impressed with that today. Some say that the laws of logic are inferences comprised of judgements made up of concepts. Others say that they are arguments comprised of propositions made up of terms. Others say they are proofs comprised of sentences made up of names. Others would simply say they are electrochemical process in the brain. In the end what you think the laws of logic are will determine the nature of evidence that you will suggest for them. Now in an atheistic universe what are the laws of logic? How can they be universal, abstract, invariant, and how does an atheist justify the use of them? Are they merely conventions imposed on our experience or are they something that reflect absolute truth? Dr. Stein tonight has wanted to use the laws of logic. I want to suggest to you, one more time that Dr. Stein, in so doing, is borrowing my worldview. He’s using the Christian approach to the world so that there can be such laws of logic, scientific inference or what have you but then he wants to deny the very foundation of it. Dr. Stein: Is mathematics either atheistic or theists? Dr. Bahnsen: The foundations of mathematics, yes. Dr. Stein: How do you figure that? Dr. Bahnsen: From the impossibility of the contrary. No other worldview can justify the laws of mathematics or of logic. Because no other worldview can account for universal, invariant, abstract entities such as them. Dr. Stein: Do you think it’s fair, since you’ve pointed out, that logicians themselves are in great disagreement about the nature of the laws of logic, to ask me to explain them in a way that you would find satisfactory? Dr. Bahnsen: Yes it’s fair. Dr. Bahnsen: Because this is a rational debate about worldviews. You have a naturalistic worldview I have a supernaturalistic one. I want something even beginning to be an answer or how a naturalist would justify a universal, abstract, entity. I haven’t heard one yet. Dr. Stein: Okay. Is logic based upon mathematics? Dr. Stein: Never? Not symbolic logic for example? Dr. Stein: I would disagree with you. Dr. Bahnsen: Well if we want to get into Russell and Whitehead and debate those issues we’d be glad to do that but if you ask a simple question and I can only give you a simple answer. Dr. Stein: You said… you said that. Dr. Bahnsen: Assume the opposite. As far as I’m concerned, as a Christian, I’m not committed one way or another to that. If you want to say mathematical laws, and the permutation laws of math are the same as those used in logic, that’s fine. How do you justify either one of them is my question. Dr. Stein: Well I would ask you a more fundamental question. That is, you explained that the laws of logic reflect the thinking of god. Number one, how do you know this? And number two, what does it mean? Dr. Bahnsen: What question, what difficulty are you having understanding what does it mean? Dr. Stein: I don’t know how you are privy to the thinking of god? Dr. Bahnsen: He revealed himself through the scriptures of the Old and New Testament. Dr. Bahnsen: That explains why there are universal standards of reasoning, yes. Dr. Stein: It doesn’t explain them to me. Could you explain them again? Dr. Bahnsen: Yea. We have Bible studies from time to time where those things can, you know can be dealt with. Dr. Stein: You mean you spend some time rationalizing the irreconcilable? Or reconciling the irreconcilable? Dr. Bahnsen: This is a cross-examination. If you have something other than a rhetorical question I will try to answer it. Dr. Bahnsen: The previous one was rhetorical only. David Agopian: Please limit your comments to questions. Dr. Stein: Yes. Okay. Saying that logic reflects the thinking of god is to make a non-statement. How is that an answer to anything that’s relevant in this discussion? Dr. Bahnsen: It answer the general metaphysical issue of how there can be universal, invariant, abstract entities in a particularists world, in a particular person’s worldview. If you want to know the precise relationships, for instances, if somebody wants to know how did God make a cow, okay. The statement that God made the cow doesn’t, has meaning apart from my being able to explain the mechanics of God making a cow. Likewise, the statement that the laws of logic are intelligible within a Christian theistic universe has meaning because there are things which are, in fact, spiritual, immaterial, and have a universal quality such as God’s thinking and those standards that he imposes on people. And so again, we can at least metaphysically make sense of invariant, abstract entities in one universe whereas we can’t make sense of them at all in the other. Were not asking for the mechanics here or anything precise such as resolving the relationships of logic to math, and that sort of… I’m simply asking a more general question. If you’re an atheist, how is it in this. How in the atheist universe is it possible to have an abstract, universal, law? Dr. Bahnsen: Do you accept the Zen Buddhist logic that allows for koans the different kind of logic that you referred to used by Zen Buddhists? Dr. Stein: I used the word extra-logical and I think that’s the right word. It is outside of the normal kinds of logic. It is not necessarily a different kind of logic it’s just non-logical, but accepted in the place of logic. Dr. Bahnsen: Is it also… are extra-logical things absurd? Dr. Stein: They may seem that way to us. But no, I would say they are not absurd in the grand scheme of things. Dr. Bahnsen: Can extra-logical things be true? Can claims about extra-logical matters be true? Dr. Stein: That’s an impossible question to answer because if you’re using logic to answer whether something is true or not than extra-logical things are not subject to the analysis given by logic. Dr. Bahnsen: Alright, so are claims about extra-logical entities allowed or disallowed in your world view? Dr. Stein: In my worldview? It depends on what we’re talking about. If we’re talking about things like Zen Buddhists and they confine themselves to these philosophical speculations there then yes. If they’re talking about science, no. Dr. Bahnsen: It sounds very arbitrary. I would first like to make one little factual rebuttal about a statement which was slipped by in the first speech of Dr. Bahnsen that atheists caused the French Revolution. This is a false statement. The leader of the French Revolution, the most important person, was Robespierre who was a Christian. So… I mean there may have been some atheists there but that doesn’t mean that they caused the French Revolution. There are atheists everyone. Okay. Now. We’ve spent a lot of time talking about logic and yet I’d like to know why—and this is not a question which is addressed right now for an answer but just as a put out for a future response—why has Dr. Bahnsen stressed the laws of logic so much when he’s refused to apply them to the existence of god? I’m not so sure that it’s even falsifiable so therefore it isn’t even a statement that’s even testable any way. He has stressed the laws of logic because he knows that there’s no explanation for the laws of logic that philosophers agree upon. This is a trap, in effect. I may have fallen into it, if so, fine. The point is it’s not really relevant to his position. To say… he doesn’t have an answer to the laws of logic either. To say that they reflect the thinking of a god is to make a non-statement. First of all, he doesn’t know what the thinking of a god is, all he knows is what has been said by men to be what they thought the thinking of a god might have been many many years ago… maybe… if we keep granting all these possible things in his favor. It’s like a saying, as I said before, that god created the universe. Unless you explain how he created it you have not made a statement that has any intrinsic value to it. He may have made a part of a statement but I want the to hear the other half. What is there in the method that god used that we can learn something from. I mean, why did god do it, if you want to be a little bit more nasty. It’s not valid to ask science why something happened. You can ask how it happened but science doesn’t try to answer the question why. Theologists, theologians I mean, do ask the question why and try an answer it. I have not heard an answer as to why god did anything that he supposedly did nor have I heard how god did it. These are the two most essential, meaningful answers to asking a question. If we don’t supply those you have ducked the whole center of the issue, and just giving you another mumbling which doesn’t go anywhere. I’ll give you an example, if I said, how did that car that’s parked in the parking lot—that red car right in the front—how did it get here? And you say, General Motors made it. That does not explain how the car got here. Now if you want to go and explain that in Detroit a hundred men worked a certain number of hours to make this car out of steel that they got from Youngstown Ohio from a smelting plant. Then maybe we’re getting somewhere as to how that car got here. I don’t mean how it got on the Irvine campus I mean how did it get here in existence. So, tell me how that kind of an answer you have not said anything. To say that General Motors made it is not answering the question as to how the car got here. Neither is it an answer to say that god made it. And I would ask Dr. Bahnsen to explain, if he thinks he knows the answer—which none of these philosophers know about the laws of logic—to put his answer in some kind of meaningful language. To say that the laws of logic reflect the thinking of god is a non-meaningful statement. And not just to me, to anyone. I want to know whether god thinks rationally all the time, whether he can be irrational, how do we know when he’s being irrational, is it possible for him to be irrational? I want to know what kind of logic god uses. Does he use the kind of logic that we can demonstrate, that we can test? In the same way that we use the logic that we’re talking about in science? If so, should it be impossible for god to contradict himself in any way? Can he make a stone so big he can’t lift it? Is that a logical impossibility? Is god limited by that kind of a thing? Can god make a square circle? I mean these are little logical games that we play that don’t really ask important questions but they have a reflection on some kind of a problem that he is having with his concept of god. That if god can do anything, if he is omnipotent, and omniscience, and omnibenevolent, can he do those two things I said, or asked. And if he does what kind of logic is he using? The logic of self-contradiction? Until we have some answers to these questions I don’t think we’ve gotten very much meaningful from Dr. Bahnsen in the first place about any issue. He certainly hasn’t applied logic to the proofs for the existence of god that have been offered by philosophers. Alright. Dr. Stein has demonstrated it seems to me repeatedly in the course of tonight’s debate the claim that was made very early on in my original statement and that’s that the atheist’s worldview cannot give an account of those things which are necessary for rational discourse or science. When asked about Hume and the skepticism that he generated about induction or the uniformity of nature we don’t hear an answer coming forth. I don’t think there will be an answer coming forth from the atheist worldview. However, Dr. Stein, who is an atheist, has said—and I think this is close to a quote—if there were no uniformity science would be impossible. Exactly Dr Stein. If there were no uniformity science would be impossible. So on what basis, in an atheist universe, is science possible? Since, in an atheist universe there’s no basis for assuming that there’s going to be uniformity. For someone to say, well it’s been that way in all the cases in the past that we know of, and therefore very probably it’s going to be that way in the future, is to assume—because you’re using probability—that the future is going to be like the past. That is to say it’s to beg the very question that’s being asked. Now of course if you don’t like the tough philosophical questions that are asked of you about the nature of laws of logic, how they are justified, the nature of natural law, how it is justified, and so forth, and just dismiss it as absurd questions or non-questions than no one understands and does not have meaning seems to me is just to try to give medicine to a dead man. You see it’s to say, I’m not going to reason about that because I haven’t got an answer to it and that’s just uncomfortable. But you see these are philosophical questions which not just Christians by the way but all philosophers have had to ask and face throughout the centuries. Dr. Stein doesn’t even begin to scratch the surface of giving us an answer about how an atheist worldview can account for laws; laws of science, laws of logic, laws of morality. And yet, he does tell us that without them science would be impossible. As for the transcendental argument not being logical… I mean you can claim that, but I have yet to see Dr. Stein show any self-contradiction or any violation of the laws of logic in it. And of course if he were I would immediately ask him if that law of logic is one of the things that we are necessarily to live according to. We are to reason by this law? Or is that just a convention? Shall I say well that’s your convention but it’s not mine. Or is that law of logic, universal, invariant, and something that must be followed if we’re going to arrive at truth. If it is, then I’m going to ask how it’s possible to have such a thing in his universe. How he can justify it at all. But he hasn’t shown any contradiction he’s simply, again, called it illogical. Whether it’s falsifiable or not, I mean even asking that question, I think, shows that Dr. Stein is not really aware of the philosophical nature of the question in debate before us. No, transcendentals are not falsifiable, that’s right, but they are very meaningful and the very sorts of things that philosophers deal with all the time. If you look at Kant or Aristotle or other philosophers you’ll see they deal with the preconditions of experience. And since they are the preconditions of experience they are not falsifiable, and yet they are meaningful. He says that I do not have an answer to these questions either. Well I certainly do. It’s just he doesn’t like the answer. The answer is that God created the world. And this world reflects the uniformity that he imposes on it by his governing and our thinking is to reflect the same consistency or logical coherence that is in God’s thinking. How do we learn about those things? He revealed himself to us. Again, these are simple answers. There the sorts of things Sunday school children learn. But you know I have yet to find any reason not to believe them. For Dr. Stein to say, well these aren’t answers, doesn’t convince me at all. He says they’re not going to be answers unless I include how it took place. What is God’s method and why did he do it? Well I don’t accept those standards. I don’t accept that that’s a requirement for an explanation at all. And he hasn’t given us any good reason except that he’s not going to be satisfied or it’s unhelpful to him. He says it’s a non-meaningful statement to say that the laws of logic reflect the thinking of God. He wants to know things like can God be irrational. Well, if he’d asked those question during cross-examination I’d have answered them. No, God cannot be irrational. Rationality is measured by the standard of his thinking and his revelation. The atheists worldview cannot account for the laws of logic, cannot account for any universal or abstract entities for that mater, cannot account of the uniformity of nature, and therefore cannot account for the successes of science. Nor can the atheist universe give us universal and absolute laws of morality, and so on three of the most important issues, philosophically, that men must face, logic, science and morality, the atheist universe is completely at odds with those things. Well we have one minute left here I want to answer very quickly those few things that Dr. Stein brought up in his second presentation so that I may rebut them. He wants to know about the problem of evil. My answer to the problem of evil is this, there is no problem of evil in an atheist universe because there is no evil in an atheist universe. Since there’s no God, no absolute moral standards, and nothing is wrong. The torture of little children is not wrong in an atheist universe. It may be painful but it is not wrong. It is morally wrong in a theistic universe and therefore there is a problem of evil, of perhaps a psychological or emotional sort. But philosophically the answer to the problem of evil is you don’t have an absolute standard of good by which to measure evil in an atheist universe. You only have that in a theistic universe. And therefore the very posing of the problem presupposes my worldview rather than his own. God has a good reason for the evil that he plans or allows. Dr. Bahnsen in his last response and indeed throughout his entire talk has made a number of claims about what’s possible in an atheist universe and what is not possible in an atheist universe. All I can say is that he has a very strange conception of an atheist universe and perhaps of the universe in general. So the idea that there’s no evil in an atheist universe is utter hogwash. There are… evil is at least a rational determinant thing. We don’t say well did god make this evil and then we have to go flipping through the Bible to see if it has covered at all. You know there’s a hundred volumes of commentary, at least a hundred volumes, more, called the Talmud, which is the Jew’s interpretation of the all the places that the Old Testament didn’t give them guidance on for ethical and moral issues. So, I mean, these things are not clearly spelled out in the Bible. We have no guidance on a lot of things as to what’s evil. Is organ transplant evil? I mean, you don’t find that in your Bible. You’ve gotta go and look at the issues and you do an analysis just the way any rational philosopher would do it, or an, what do you call it, an ethicist. Couldn’t think of the word. So, I mean we have standards by which we determine evil and good in an atheistic world. The atheistic worldview, I think I’ve demonstrated, that the regularity of matter—which is an inherit property of matter—explains the way we are able to make laws that are generalizations in the field of science. To say that, first of all most, many many scientists are atheists, it’s been shown by studies over and over again. So to claim as professor, Dr. Bahnsen claims to claim that science doesn’t give us an atheistic worldview that is in conformity with, I mean, that science is not in conformity with an atheistic worldview is utter nonsense. Science is in itself atheistic. It doesn’t used god to explain things and it understands that matter behave in a regular and therefore predictable way and that is the way in which scientific research is done. The same with logic. Logic is a consensus. It has a mathematical and linguistic basis. It has some conformity to the reality of the world. I don’t know how many times we have to repeat that for it to get through to Dr. Bahnsen but it doesn’t seem to be. And he seems to specialize in what we call the “thinking makes it so” school of logic, if you want to call it that. Because he says something is so, because he knows what god’s thinking was therefore it is so. The omniscient Dr. Bahnsen has answered. Well that doesn’t answer anything if we’re going to apply the tests of reason to what he says. His statements are not only irrational they are unreasonable. The idea that the future is going to be like the past it’s a statistical probability statement. We have never seen a future, today’s fu… today is the future from yesterday, and yesterday, what is happening today was the future. We have not seen anything in that time period that we have observed, which is several hundred years, to show that the regularity of matter and its behavior is going to change. If it changes scientific experiments will go haywire and we’ll know it right off the bat. And then we’ll have to revise a lot of things. I think the chances of that happening are pretty small. Now. Let me just finish by saying that atheism is not a belief in negative concepts. It frees man, it sweeps away the theological debris that has prevented man from taking action to correct the problems of this world. We want to feed the hungry. We want to educate the illiterate. We want to cloth the naked. We want to raise the standard of living. We want to spread reason and thinking and progress and science. These are all things which are in and of themselves atheistic. We don’t do them because god tells us to do them. We do them because they are right. They need to be done in this world. And if we do them because they are right and they make people happy we will be made happy ourselves by making other people happy. It’s a very positive world outlook. It’s something which I don’t think Dr. Bahnsen even mentioned but it’s certainly the other side of the coin. I mean what happens when you wipe away the god concept? Are you left with nothing? No, you’re left with responsibility you have to take on yourself. You are responsible for your actions and also you get the credit for the things that you do. I would rather have a realistic worldview that gives up a few things that would be nice to have but just don’t happen to be true. And I’d rather operate on a worldview like that than I would on, making wish fulfillment of things that just are not so. I want to begin my closing statement by thanking the debate team for inviting both Dr. Stein and myself here for this interesting evening of interchange. And thank you all for giving up an evening to discuss what I consider a very important question. And I thank Dr. Stein for coming and for his graciousness towards me. As far as my rebuttal, or excuse me, my closing statement, I need to deal, I think first of all, and perhaps in the entire time analyzing this remark that my statements have been tonight irrational. Well, perhaps they have. But you see saying so doesn’t make it so. That’s something we just heard as well. And so if my statements have been irrational than we’re going to need some standards of reasoning by which these statements have been show to be irrational. Dr. Stein has yet to explain to us in even the broadest, simplest, Sunday school, child manner that I told you about the laws of logic, laws of science, and laws of morality. He hasn’t even begun to scratch the surface to tell us how, in his worldview, there can be laws of any sort. And if there can’t be laws or standards in his worldview than he can’t worry about my irrationality. My alleged irrationality. 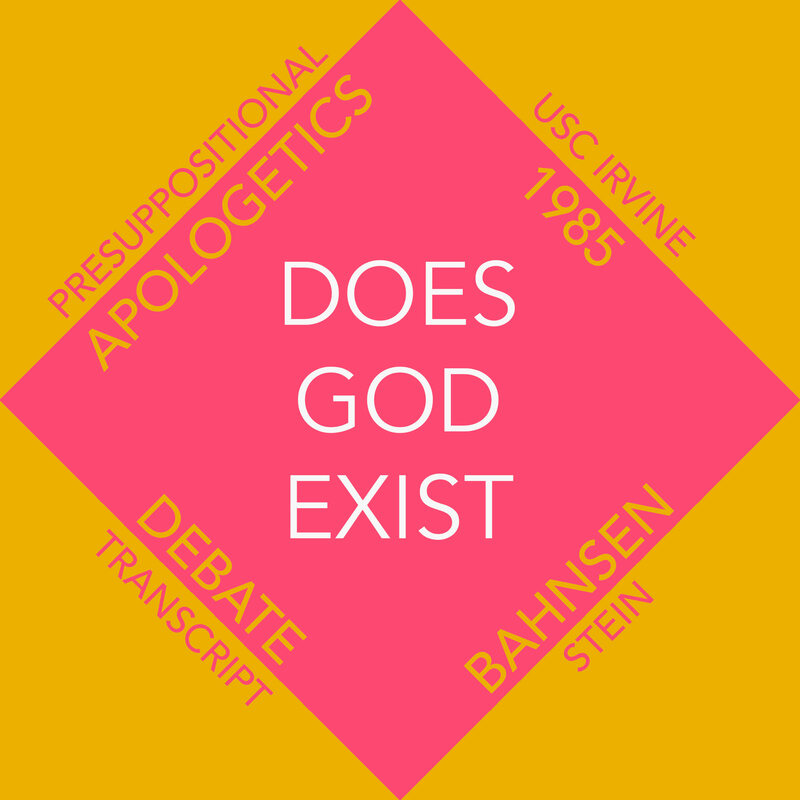 The transcendental argument for the existence of God has not been answered by Dr. Stein. It’s been debated. It’s been made fun of. But it hasn’t been answered. And that’s what we’re here for, rational interchange. The transcendental argument says the proof of the Christian God is that without him you can’t prove anything. Notice, the argument does not say that atheists don’t prove things. The argument doesn’t say that atheists don’t use logic, science, or laws of morality. In fact, they do. The argument is that their worldview cannot account for what they are doing. Their worldview is not consistent with what they are doing. In their worldview there are no laws, there are no abstract entities, there are no universal things, there are no prescriptions. There’s just the material universe naturalistically explained and the way things happen to be. That’s not law like or universal and therefore their worldview doesn’t account for logic, science or morality. But atheists of course use logic, science, and morality. And in so doing atheists give continual evidence of that fact in their heart of hearts they aren’t atheists. in their heart of hearts they know the God I’m talking about. This God made them, this God reveals himself continually to them through the natural order, through their conscience and through the very…their very use of reason. They know this God and they surprise the truth about him. One of the way we see that they suppress the truth about him is because they do continue to use laws of logic, science, and morality though their worldview cannot account for them. Dr. Stein has said the laws of logic are merely conventional. If so, then on convention he wins tonight’s debate, on convention I win tonight’s debate. And if you’re satisfied with that you didn’t need to come in the first place. You expected the laws of logic to be applied as universal standards of rationality. Rationality’s not possible in a universe that just sensing them to convention. Dr. Stein has said the laws of science are law like because of the inherit character of matter. But Dr. Stein doesn’t know the inherit character of matter. Now if he were God he might reveal that to us as I think God has revealed certain things to us about the operation of the universe. But he’s not God he doesn’t even believe there is a God. Since he hasn’t experienced all the instances of matter and all the electron reactions and all the other things scientists look at since he hasn’t experienced all of those he doesn’t know that those things are universal. He doesn’t know that the future is going to be like the past. When he says well it alleyways has been in the past and boy if it changes tomorrow won’t that make the front pages, that’s not an answer. You see we’re asking what justifies your proceeding on the expectation that the future is like the past? To say well it’s always been that way in the past is just to beg the question. We want to know on what basis your worldview allows for the uniformity of nature and laws of science. Thirdly, we’ve spoken of laws of morality tonight. He’s said they have laws of morality the utilitarian standard of what brings the greatest happiness to the greatest number. Well that doesn’t justify utilitarianism to announce it. He’s announced that it’s his standard but why in an atheist universe should we live by that standard? Marquis de Sade enjoyed torturing women. Now why should he give up torturing women so that he might bring greater happiness to those women that he’s torturing? Now I’ve got an answer for that. It’s not one that Dr. Stein likes and maybe some of you out there don’t like it but at least I can begin philosophically to deal with that. I have an answer; a universal absolute about morality. Dr. Stein does not. He simply has an announced stipulated standard. And If morality can be stipulated than of course Marquis de Sade can stimulate his own. Even as Dr. Stein has stipulated his own. Why should he fed the poor? He says they want to do that. I’ll grant that. My argument tonight has never been that atheists are the lousiest people in the world. That’s not the point. Some Christians can be pretty lousy too. But why is it that I call atheists or Christians lousy when they act in the ways that we’re thinking of? Because I have absolute standards of morality to judge. Dr. Stein does not. And therefore, once again, from the transcendental standpoint the atheistic worldview cannot account for this debate tonight because this debate tonight has assumed that we’re going to use the laws of logic as standards of reasoning, or else we’re irrational. That we’re going to use laws of science. We’re going to be intelligent men that way. We’re going to assume induction and causation and all the things scientists do. And it’s assumed moral sense; we’re not going to be dishonest and try to lie or just try to deceive you. I mean If there aren’t laws of morality I could just take out a gun right now and say “Okay Dr. Stein make my day. Is there a God or not?” You see if he argues oh you can’t murder me because there are laws of morality then of course he’s made my day because I win the debate because that shows that the atheist universe is not correct. But if he says, oh no there are no absolute standards it’s all by convention and stipulation and that sort of thing, then I just pull the trigger and it’s all over and I win the debate anyway. Would you expect me to win the debate in that fashion? Absolutely not. You came here expecting rational interchange. I don’t think you’ve heard much from Dr. Stein. I’ve asked him repeatedly, it’s very simple, I don’t want a lot of details, just begin to scratch the surface, how in a materialistic naturalistic outlook on life man in his place in the world, can you account for laws of logic, laws of science, and laws of morality. The atheist worldview cannot do it and therefore I feel justified in concluding as I did in my opening presentation this evening by saying the proof of the Christian God is the impossibility of the contrary. Without the Christian worldview this debate wouldn’t make sense. The Bible tells us, “The fool has said in his heart there is no God.” Don’t misunderstand that. When the Bible uses the term fool it’s not engaging in name calling. It’s trying to describe somebody who is dense in the sense that they will not use his reasoning as God has given him. Anybody who is rebellious who is hardhearted. It’s the fool who says in his heart there is no God. Paul tells us in 1st Corinthians the first chapter that God has made foolish the wisdom of this world. He calls rhetorically, “Where is the wise, where is the disputer (or the debater) of this age? Hasn’t God made foolish the wisdom of this world?” In a sense, I think what Paul is telling us, if I can amplify and read between the lines, is that the whole history of philosophy is an argument for the existence of God. The whole history of philosophy is an argument for the existence of God because of the impossibility of the contrary. Someone who wants to say contrary to what the Bible says about God let him stand up and answer these questions. Let him show that in his heart he may say there is no God but he can’t live that way. He can’t reason that way. In Romans the first chapter Paul says God is making himself known continually to all men and persuasively so that men do not have an excuse for their rejection of the existence of the Christian God. That isn’t to say that all men confess this God. Not all will own up to him as their heavenly father. Not all will submit to him. Some continue to rebel. Some continue to devise their fools errands and rationalizations for why don’t have to believe in him. That’s what the Bible teaches. I didn’t come here and make this up. I didn’t come here tonight to say well if you don’t agree you see you’re just being rebellious, that’s what the Bible says. What I want you to do tonight is to go home and consider whether there isn’t something to that. Why is it that some people continue to use laws of logic, laws of morality, laws of science, and yet they have a worldview that just clashes with that. And they just won’t do anything to resolve contradictions. Dr. Stein tonight made reference to my doctoral dissertation on self-deception. He wondered how relevant it might be. Well it’s very relevant. Very relevant. Because what I do in that doctoral dissertation is to show that there are some people who know the truth and yet work very hard to convince themselves that it’s not true. Now of course atheists think that’s what Christians are doing. I recognize that. And we have to argue what the evidence for and against self-deception is. All I want to leave with you tonight is the fact that self-deception is a real phenomenon. It does happen to people. People who know the truth and yet work very hard to rationalize the evidence, convince themselves, as Paul says, “suppress the truth in unrighteousness”, convince themselves that there is no God. Now you can choose tonight between the Christian worldview, the atheist worldview. We haven’t touched all of the issues that we may want to look into, but in broad strokes we have touched on a very important issue. If you’re going to be a rational man, a moral man, a man of science, can you do so in an atheist universe? I say you can’t.